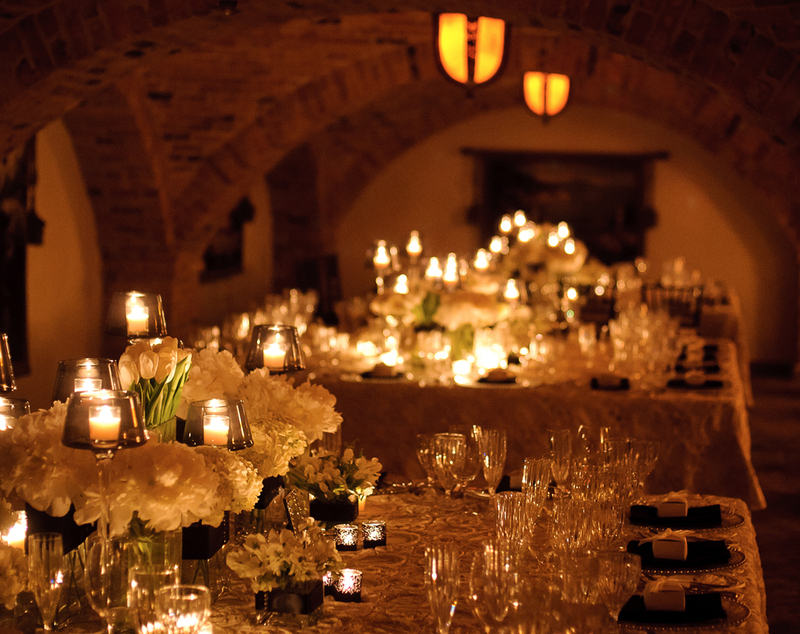 We have a beautiful place, adaptable to informal or very formal entertaining. 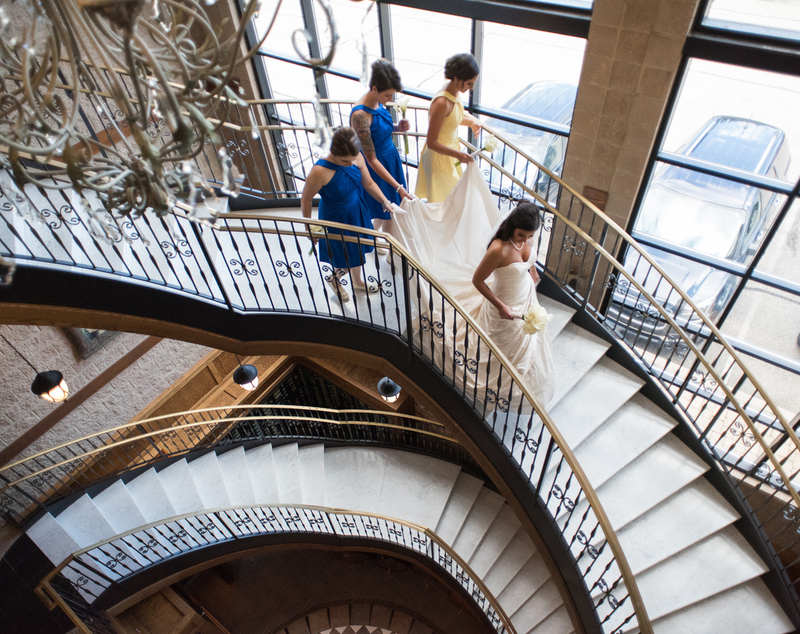 In addition to the rooms listed below, our restaurant dining room, private dining room, lounge, outdoor cafe, and herb garden can be utilized for smaller weddings. 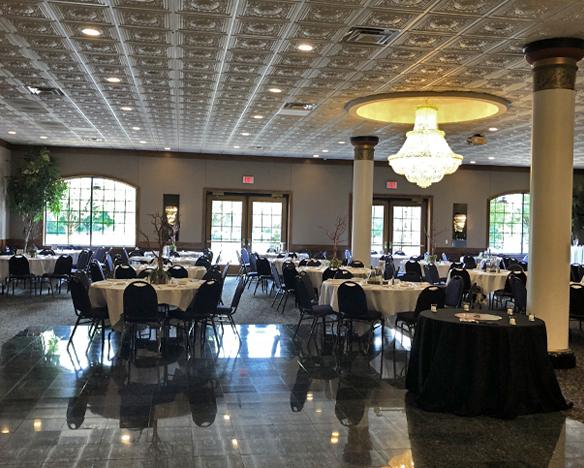 The entire main floor banquet rooms for 700 seated guests. 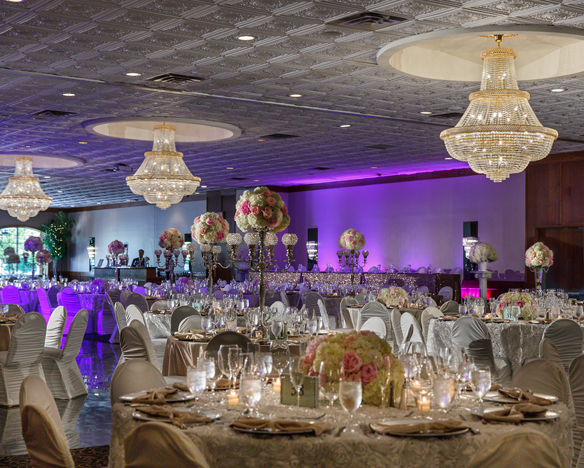 Perfect for large corporate events and large wedding receptions. 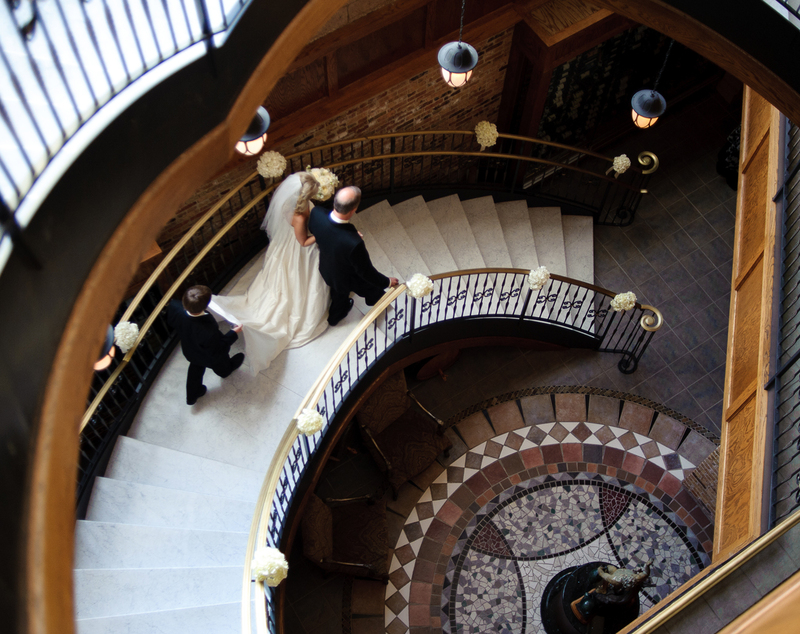 For wedding receptions with dancing, we can seat up to 550 guests. 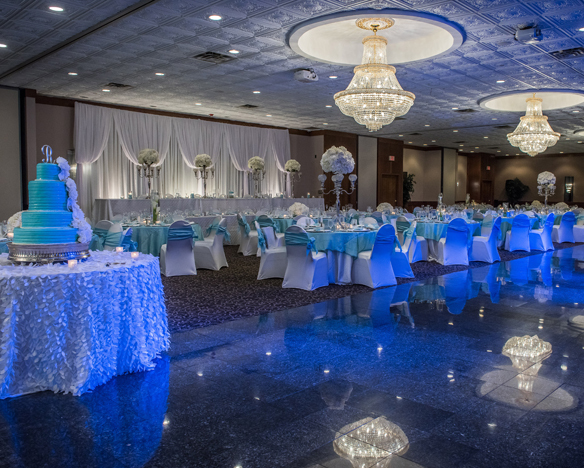 The combination of Nicoletta, Gabriella and Valentina rooms perfect for events for over 200 up to 400 seated guests. 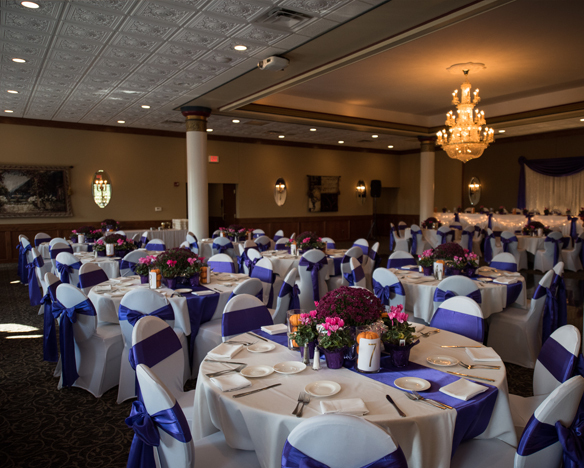 Perfect for wedding receptions up to 150 guests. Other events up to 175 guests. This room has two beautiful accent pillars. Room seats up to 120 with crescent seating, 200 guests theater style seating and 160 guests at full round seating. Room seats up to 60 with crescent seating, 100 guests theater style seating and 80 guests at full round seating. 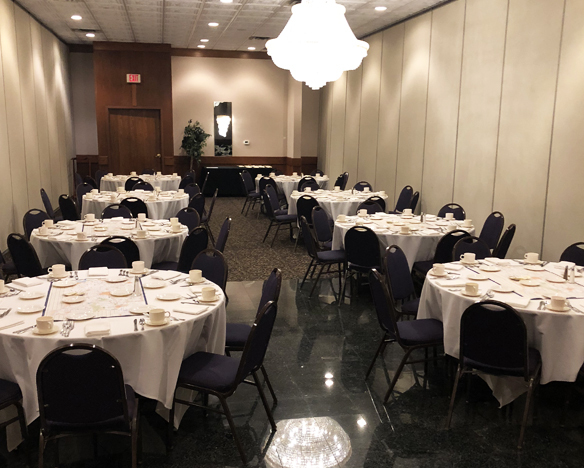 The Nicoletta room will accommodate up to eighty guests at a time. 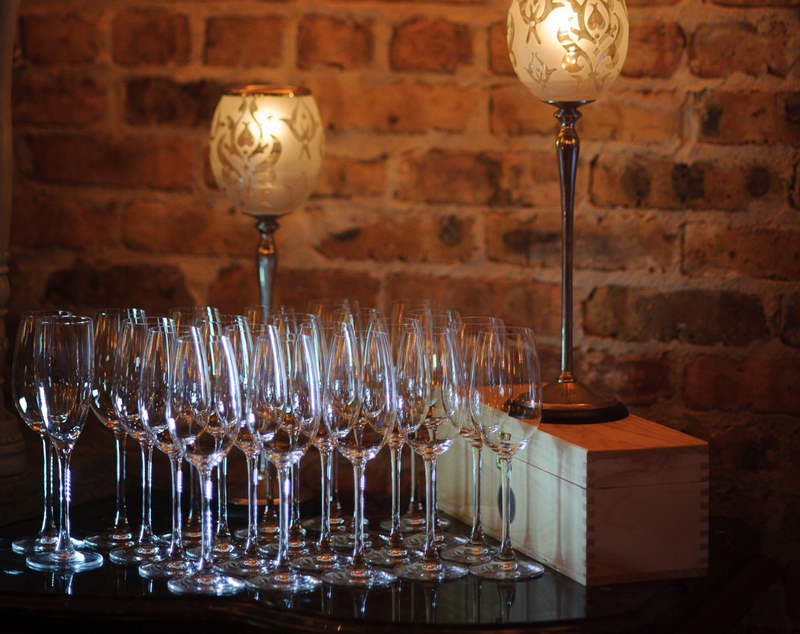 It is the perfect venue for a private party or corporate meeting. 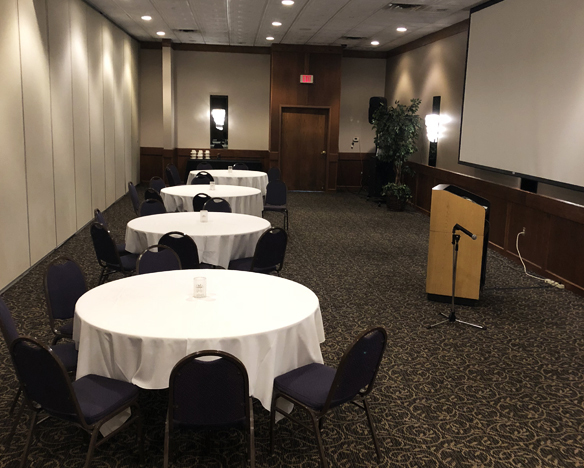 Audio visual is available for rent to make presentations and slideshows run smoothly. 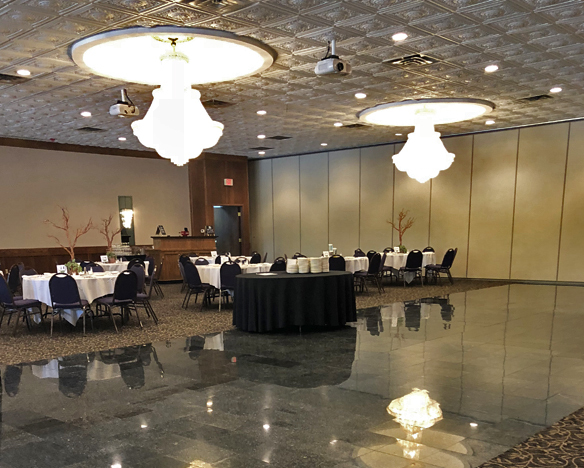 Our second floor ball room for wedding receptions up to 200 seated guests. 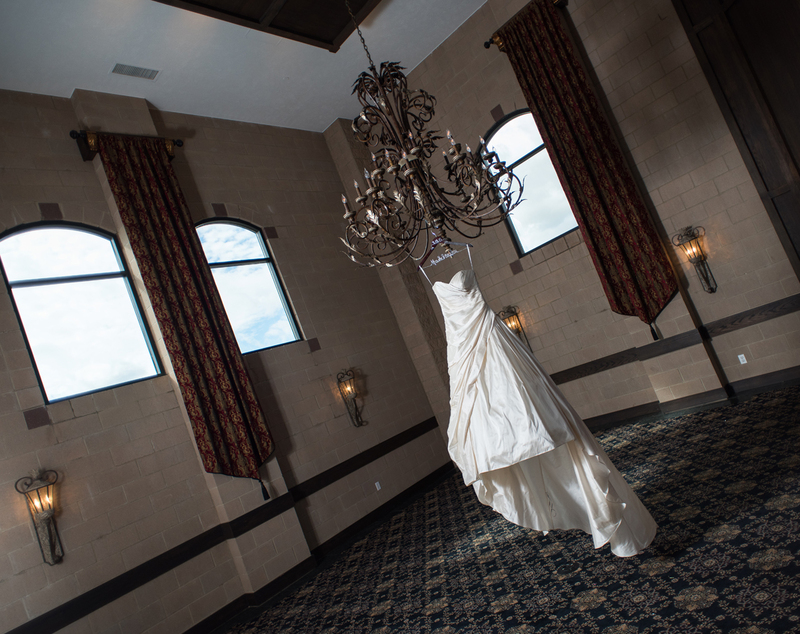 There is an Italian Alabaster chandelier over the all granite dance floor. Other events up to 250 guests with seating on dance floor. 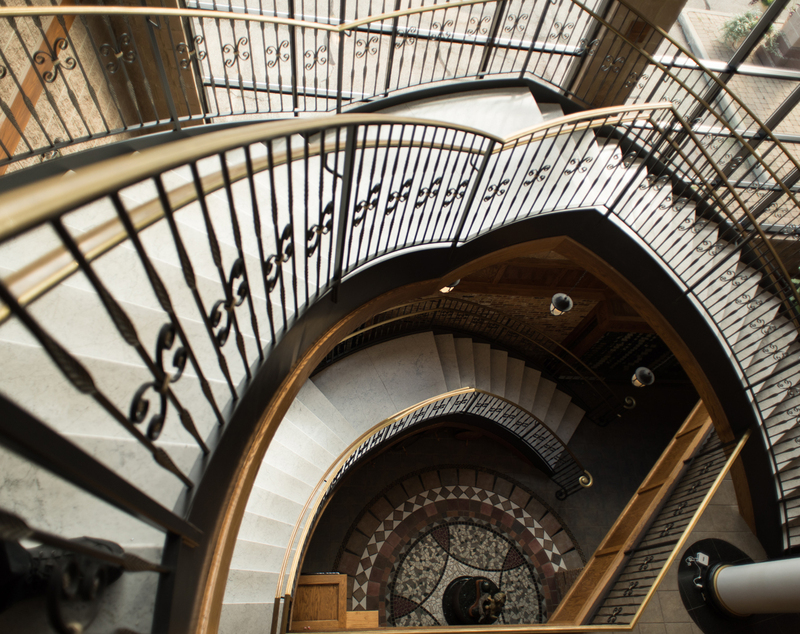 Noto's Private Dining room will seat up to forty guests. Order from our banquet menu or off the menu for twenty guests or less. 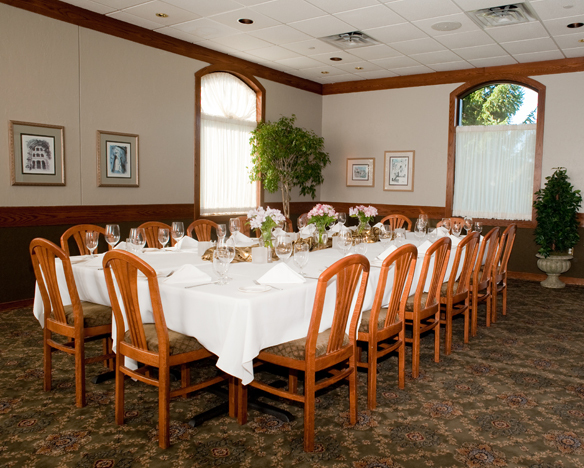 The private dining room is the perfect space for a wedding rehearsal, wedding anniversary or small wedding dinner. 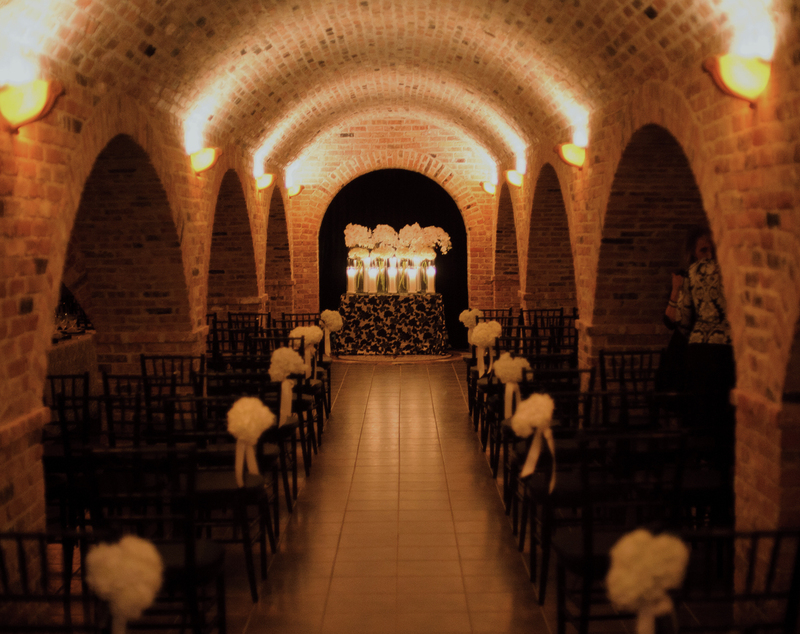 The old world look of the Wine Cellar is a beautiful setting for wedding ceremonies with seating for up to 90 guests. Stay and enjoy a memorable chef’s dinner with your family and friends. Chef will prepare 5, 7 or 9 course dinners that will be a true European dining experience. Some courses may be prepared tableside while other courses you may want to walk into our open kitchen and see chef preparing your meal. 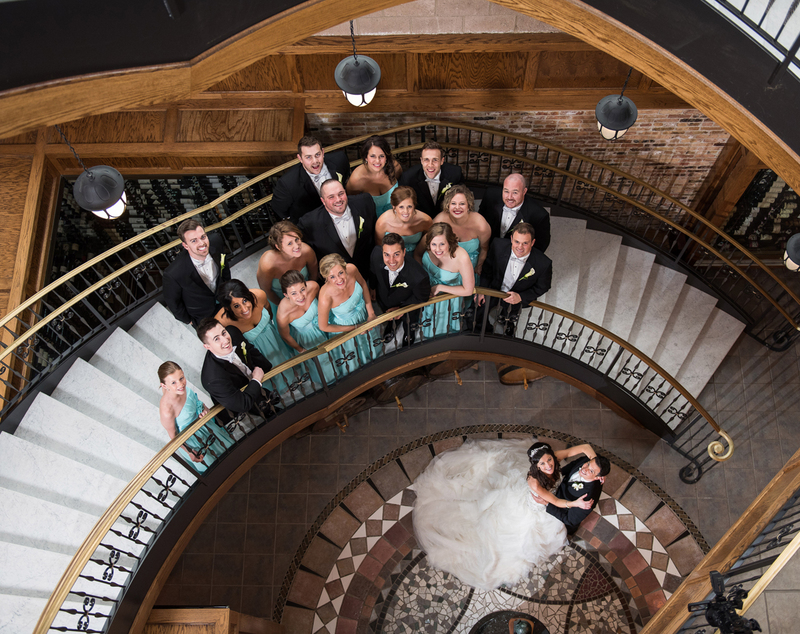 There is a uniqueness and charm to the Wine Cellar that may be perfect for you! 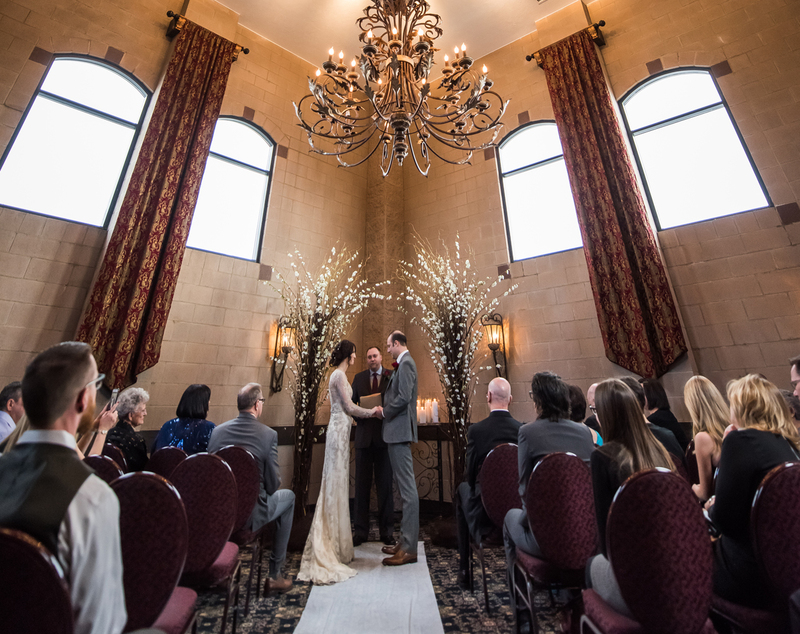 Noto's Bella Torre room is a gorgeous castle feel whether you are using it for a wedding ceremony or for an additional bar space for any event in the Paradiso room. 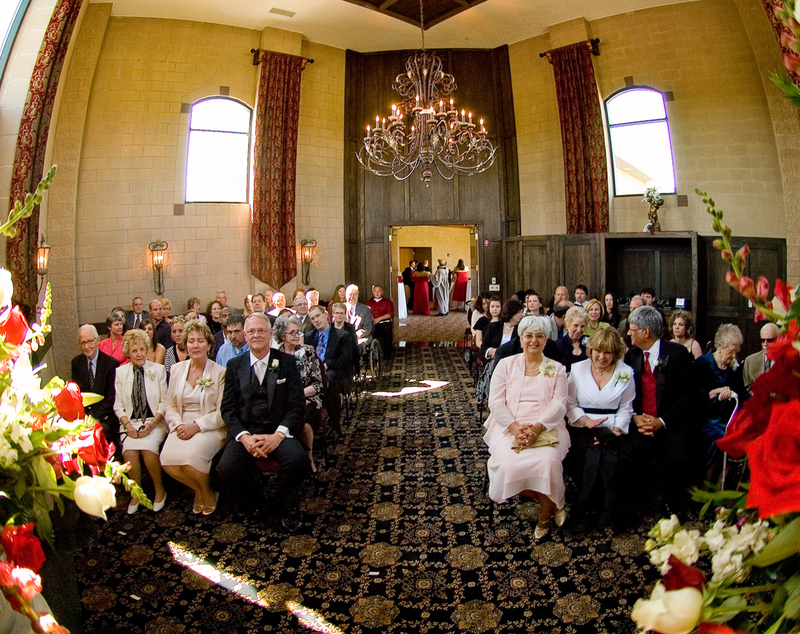 People absolutely love having an extra mingling room for guests. 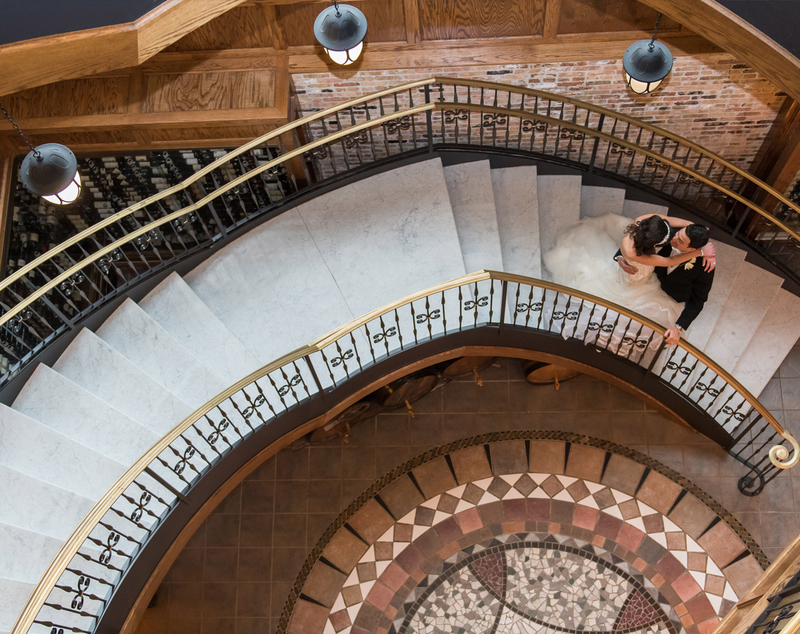 Noto's staircase is one of a kind! 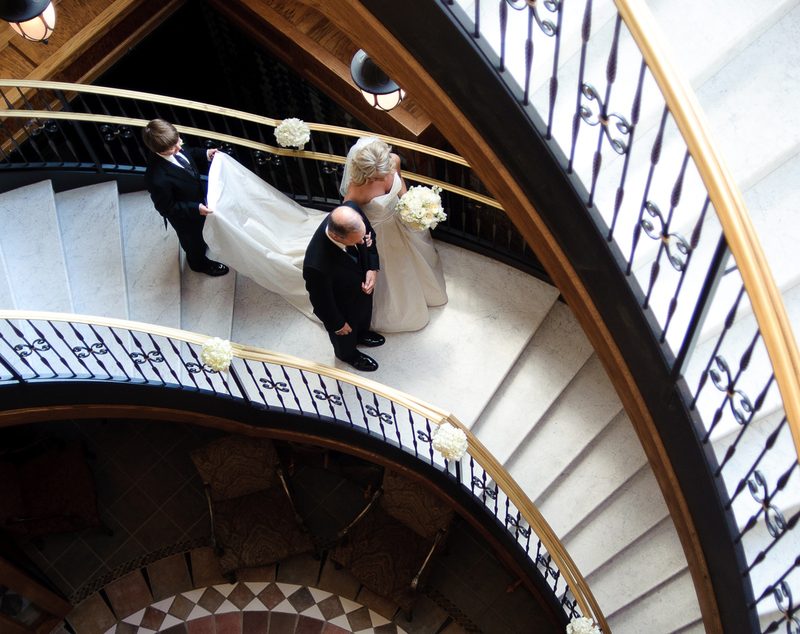 whether it is used for family photos or for a bride to proceed to the alter, it is simply picture perfect. 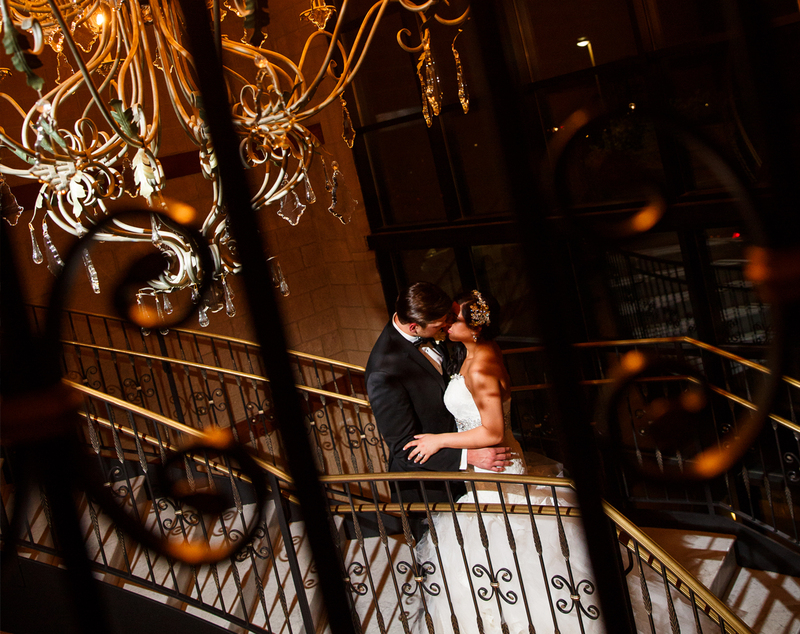 Our guests love the staircase around Christmas time for a photo in front of the Christmas tree and snowfall through the large glass windows directly behind.